A most unsettling consequence of the nursing shortage in New Jersey and across the nation is the effect it has on the availability of patient care. A major segment of the Baby Boomer population is settling into their senior years and will require more health care. Sadly, with staffing stretched to the limit, many hospitals are unable to meet the population needs. The Bureau of Labor Statistics and the American Association of Colleges of Nursing both project that the shortage of qualified registered nurses will remain into the foreseeable future. The BLS projects a 16% increase in the need for RNs through 2024. Health Affairs expects approximately 260,000 new nurse jobs to be added by 2025. Closer to home, the New Jersey Nursing Initiative reported that the state would have a shortage of 40,000 or more by 2020. Of the shortage, nurses with training in neonatal intensive care will be in greatest demand. New Jersey may have a bad rap among nurses due to the BSN in 10 initiative. The inclusive plan requires registered nurses to obtain a baccalaureate degree within 10 years of initial licensure. To date, the bill has not been enforced, but when it is, it will equip the workforce to save lives and produce better patient outcomes. Nurses in the Garden State are among the highest paid and best trained in the nation. Success in the field of nursing requires a first-rate education. The associate degree in nursing program prepares students for entry into the profession and lays the foundation for life-long learning. The program will include both theoretical and clinical components to give students the skills to transition with confidence into a fast-paced healthcare environment. The curriculum supports the development of nurses who will provide evidence-based nursing care for patients across the lifespan. Areas of study include fundamentals of nursing, human anatomy and physiology, microbiology, general psychology, adult health, pathophysiology, adult health, pharmacology, and transition to professional nursing. Students also learn the legal and financial aspects of health care. The program will emphasize hands-on learning through practical experiences in a skills lab as well as clinical experiences in a medical setting such as a hospital, nursing home, hospice, or community-based agency. During the clinical experience, students will work in groups, under the direction of a registered nurse, to assess patients, devise patient care plans, and supply patient care. These practical training opportunities in real-world settings help students develop their skills and confidence to address patient care issues head-on. Full-time students complete the general education and core nursing requirements in approximately two years. Upon completion, they become eligible to take the NCLEX-RN exam, with the State Board’s approval, to become registered nurses. In this age of advanced learning, graduates are encouraged to pursue further study to the BSN degree, at minimum, to increase their employment opportunities and earning potential. Ongoing information sessions are the best place to begin your search for a viable associate’s degree in nursing program. Check the school’s website or contact an admission’s counselor for a schedule of sessions. Information sessions are valuable, providing all the information you need about the program before you enroll. You’ll also learn about the entry requirements, expectations (including health and background check requirements), admissions process, clinical rotation cycle, prerequisite courses, details on financing your education, and requirements for graduation. In general, you must have a high school diploma or GED equivalent to enroll in an associate’s degree in nursing program. Submit your application on time along with the required documents to improve your chances of entry into a competitive program. Prepare and pass the college’s admission assessment. Submit copies of your driver’s license, birth certificate, and social security card. Submit official high school transcript or GED scores. Meet the health screen requirements including immunization, TB test, and drug screen. A history of criminal convictions could impair your ability to enroll in a program or participate in the clinical experience. An education in nursing will pay huge dividends. In today’s uncertain economy, nursing is one of few professions where graduates can expect to begin working within 6 to 12 months, which means you can begin earning to repay loans and reap the rewards of your hard work. The average cost of completing the two-year degree on a full-time basis is approximately $24,600 in NJ public schools. The cost is almost double at private colleges. Nursing students must provide for additional expenses like the enrollment costs for the health and background check requirements, insurance, clinical supplies, transport to the clinical sites, and nursing gear. Federal loans, scholarships, private loans, and grants will help to reduce your total cost. 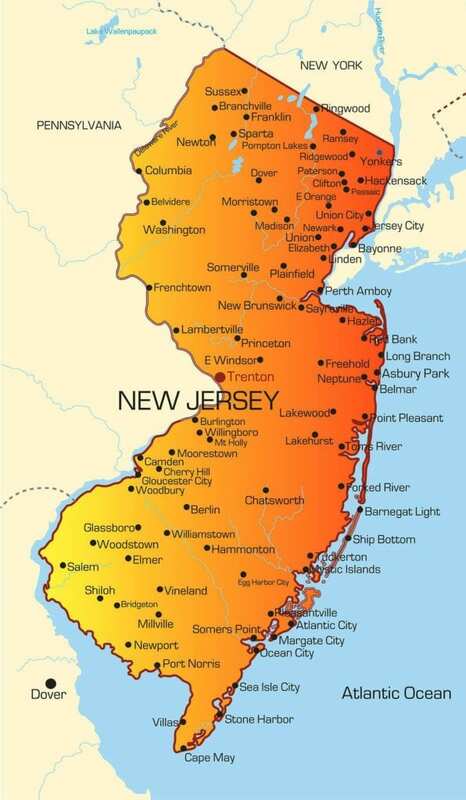 New Jersey is not a part of the nurse licensure compact. Therefore, licenses issued are for practice within the state only. Nurses with a license from compact states must apply for licensure by endorsement to practice within the state. Nurse graduates must secure a license by exam to practice as the Board of Nursing does not issue temporary licenses. Military personnel or spouses may apply for a temporary courtesy permit to practice. Licenses can take up to 16 weeks to process, so plan ahead. All applicants must complete a background check as part of the application process. It involves completing an NJ and FBI fingerprint card. The background check costs $63.19 for out-of-state or $67.10 for in-state residents. Applications for Licensure by Examination in New Jersey are available in online or paper format. Complete the Board of Nursing’s application for Licensure by Examination making sure to indicate the type of license for which you are applying. Sign the application, as an indication of your agreement with the Board’s policies, in the presence of a notary public. Attach a passport photograph, 2 x 2, to the application. The photo should be taken within six months leading up the application and should reveal your head and shoulders. Submit the payment of $200 using a personal check or money order made out to the New Jersey Board of Nursing. Provide a copy of your birth certificate or passport if you’re a US born citizen or a passport or certificate of naturalization of you’re a naturalized citizen. Legal aliens must submit a copy of the immigration documents. Complete the Certification and Authorization form to initiate the required criminal history check. If you live outside NJ, you must request fingerprint cards from the Board. Schedule your appointment to submit your fingerprints if you live in the New Jersey area. Confirm that the nursing program submitted an Official Letter of Program Completion to the Board of Nursing. The Letter must be signed by the program chair and sealed with an official seal. If you graduated from a program outside of New Jersey, make arrangements for official transcripts to be sent directly to the Board of Nursing. Answer all the questions on the application as withholding information could lead to denial of licensure. Provide criminal history documentation if applicable. You must request special accommodation for the NCLEX-RN exam if you qualify under the ADA. You will become eligible to take the exam after the Board receives a letter of completion or your official transcripts. An application for Licensure by Examination making sure to indicate the type of license for which you are applying. Sign the application, as an indication of your agreement with the DCA’s policies, in the presence of a notary public. A passport photograph, 2 x 2, revealing your head and shoulders. Submit the payment of $225 using a personal check or money order made out to the New Jersey Board of Nursing. The completed Certification and Authorization form to initiate the required criminal history check. If you live outside NJ, you must request fingerprint cards from the Board of Nursing. A transcript review from the Commission on Graduates of Foreign Nursing Schools (C.G.F.N.S.). It must be a Full Education Course by Course Report. Documentation of passing the Test of English as a Foreign Language exam. Register for NCLEX exam online, by phone (866) 496-2539, or by mail. The testing fee is $200. A registered nurse who is licensed to practice in another state can apply for licensure by endorsement to work in New Jersey. The nurse’s license should be unencumbered and active. Complete the Board of Nursing’s application for Licensure by Endorsement making sure to indicate the type of license for which you are applying. Submit verification of licensure in good standing from the state of original licensure or current licensure. Also, include verification of good standing from every state you’ve held a nursing license. Verification must be sent directly to the New Jersey Board of Nursing. Complete the Application for a Temporary Courtesy License of Military Personnel or Spouses of Military Personnel if you need one. You must provide written verification of licensure in good standing from the state or original/current licensure. Review the checklist for Temporary Courtesy Licensure before submitting an application to the Board. New Jersey nursing licenses expire on May 31 of odd-numbered years. Renewals must be submitted online. Once renewed, please allow 10 to 15 business days to receive your license. The renewal fee for active licenses is $125. Inactive license renewal costs $65. There is a late fee of $50 for renewals submitted after the license expiration date. Registered nurse licensees must complete a minimum 30 hours of continuing education credits for the two-year period preceding the license renewal. All nurses who want to maintain an active nursing license in the state must complete all the CE requirements. All continuing education units must be approved by a credentialing agency accredited by the National Commission for Certifying Agencies. CEs may be completed through online sources. However, you must secure copies of and retain your certificates of completion. The Board will accept courses completed through an employer if they carry a credit hour designation. Keep copies of your certificates of completion for at least five years to present if the Board selects you for a random audit or disciplinary action. New college graduates may initially have some difficulty finding a job, but long-term projections for the career prove that jobs are aplenty. Data released by the U.S. Bureau of Labor Statistics projects about 500,000 positions for registered nurses to open up between 2012 and 2022. In addition, there will be 525,000 jobs added to replace retiring nurses. Therefore, the outlook is very good, especially for New Jersey where the population is living longer and have complex diseases that need on-going care. An increased emphasis on preventative care and thousands of residents with new access to care under the Affordable Care Act will also drive demands for professional nurses. Although the greatest demands are for advanced practice nurses, the need for registered nurses with a bachelor’s degree is also projected to rise in the next decade. The ability to find a job out of school has as much to do with timing as well as education and training. 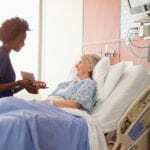 There are periods of shortage and abundance of nurses, but even when employers have more options than vacancies, nurses who can demonstrate competence and a commitment to lifelong learning will always find a place in healthcare. Due to a preference for baccalaureate preparation, nurses with the associate’s degree will need to find ways to engage employers during the competitive hiring process. New Jersey RNs earn a salary of $79,840 annually.